Imagination is one of the cornerstones of art. Its use can be quietly subtle, or flagrantly push beyond the bizarre, or inspire generations of people to dream beyond their immediate circumstances and envision a world of possibilities. One of the more quiet ways to use imagination is to recreate a real scene from life, yet include additional real objects to complete the idea of the work. 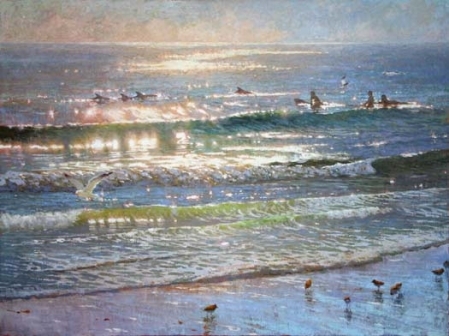 Here, David Gallup created an idyllic setting of the Pacific Ocean replete with dolphins, birds, and surfers. 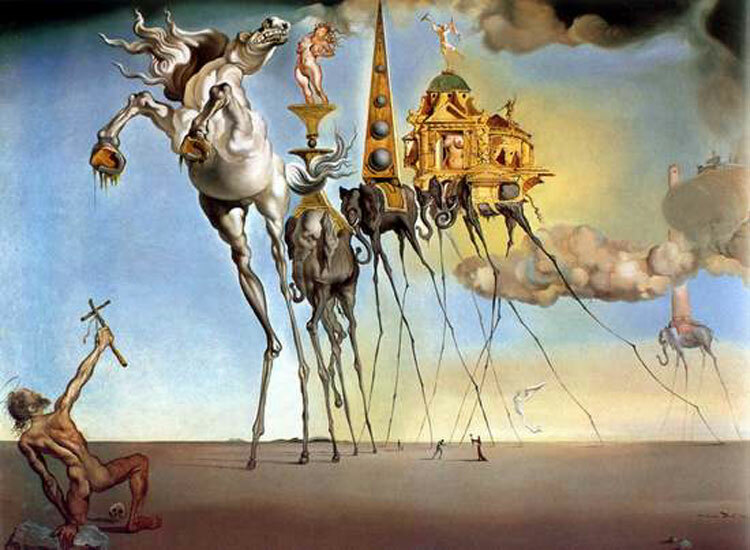 Here Dali uses some realistic elements and then distorts aspects of them to create an imagined world in which the unbelievable interacts with the real. 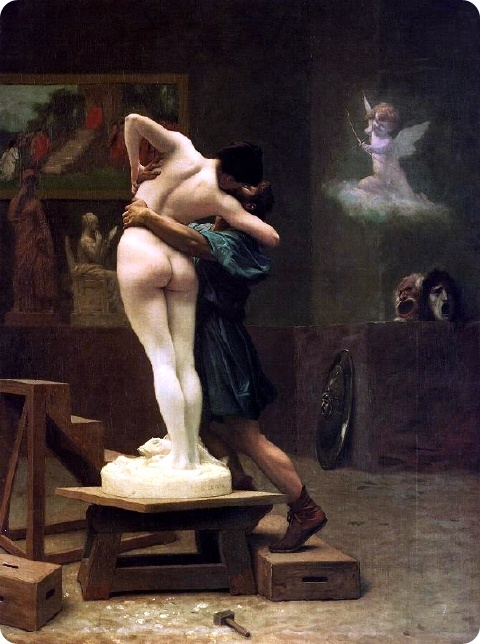 A variation on the unbelievable subject with the real comes from Gerome’s Pygmalion and Galatea. He conveys the legend of the sculpture of Galatea being so perfect that the stone turned into living flesh. Gerome does make the far-fetched scene look as if this is really happening. 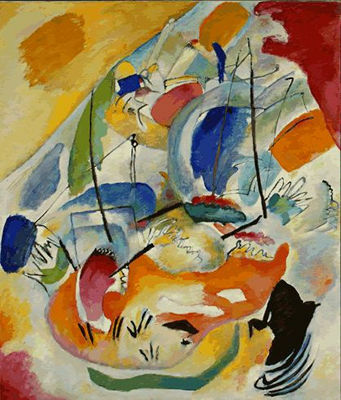 Kandinsky’s Sea Battle conveys a rather freewheeling imagination – an ambiguous collection of forms and colors. Is that a strawberry or blood? A wing of a bird or a splash of water?  A sail? A rock? It’s rather like looking for animals, and things in the shapes of clouds. 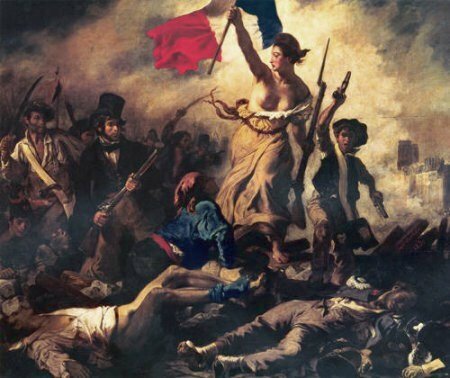 Delacroix in Liberty Leading the People uses a great deal of imagination in the subject, a half naked woman leading the masses in a revolt against a regime. Yet, the scene is meant to feel genuinely real–not like a surreal dream or like an impossible physical transformation. By how an artist expresses their imagination, such as an escape, a playful distraction, as entertainment, or as a beacon, one can get some insights into the artist’s philosophy of life. And see something of your reflection as well. I hope you enjoyed imagining art in a fresh way. 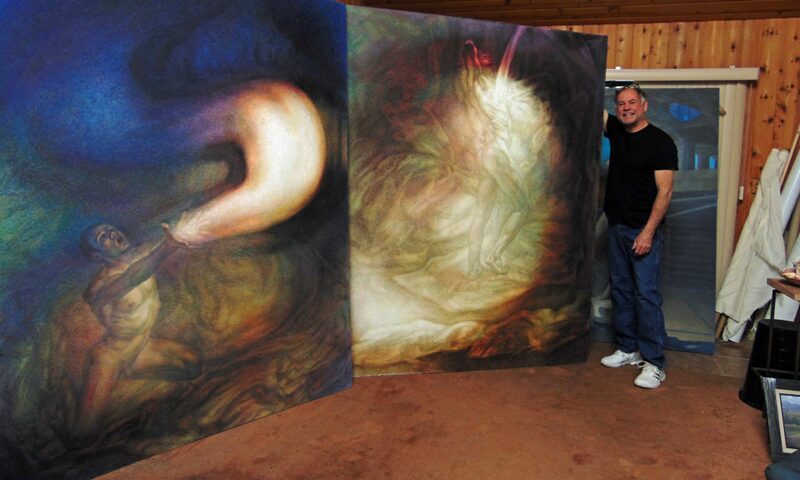 Michael Newberry is Artist-in-Residence at The Atlas Society. He has exhibited in New York, Los Angeles, Athens, and Rome. Follow him on Instagram at @artnewberry.